You might have a toolkit that is comprehensive and has everything you need, but you don’t always carry it around with you! What you need, for those little jobs at home or at work – or even in the car – is a multitool. You have probably seen them around – small tools that people keep in their pocket with a wide variety of different functions – but we have a recommendation for an affordable, quality multitool with a difference. 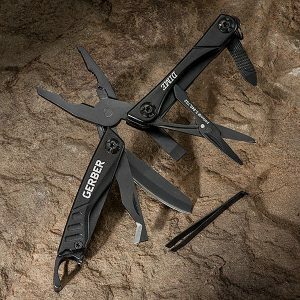 The Gerber Dime Micro Multitool is a great little device that will come in handy whenever you need such an item, and it is not expensive at all. You will find it durable and easy to use, as well as very versatile, and you will soon wonder how you got by without one of these fantastic little gadgets. It comes with such a wide variety of tools in one very compact package, easy to slot into a pocket and light enough that you won’t know it’s there, that you can do most small repairs or adjustments, so let’s have a closer look at what you get. 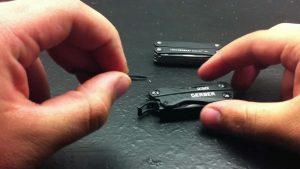 Make no mistake, the Gerber Dime is an extremely handy little device. It weighs in at just 2.2oz and is under three inches in length when folded closed. It’s a clever design, too, and incorporates a full complement of tools. You get the usual blade, a screwdriver, miniature spring-loaded pliers for ease of use, plus scissors that are also spring loaded, wire cutters and more. It’s great for the hobbyist, and also a welcome item for carrying in case of necessary repairs at work. The Dime is ergonomically designed for ease of carrying, simple to use and offers plenty of grip for such a small item, and it is well-made with smooth operation and no messing around to get the tools into place. It has clearly been well thought-out and is carefully presented, and would make a great gift for the handyman about the house, or anyone who has a hobby that involves miniature electronics or similar. Believe us when we say there really is every reason to get yourself one of these brilliant little devices; for errant screws that need tightening up, fuses that need changing or any other simple yet necessary jobs around the home, the Gerber Dime will be the perfect device for the job. 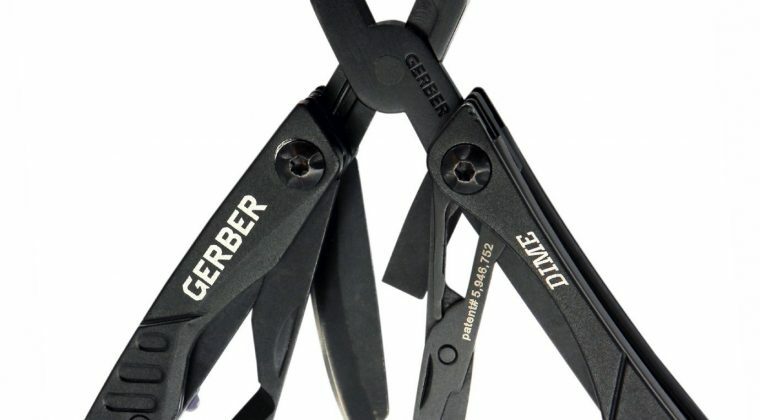 It’s made from tough steel so will be ready for a long life and you can find out all you need to know about the Gerber Dime in this excellent review. You will find it to be the most convenient item you ever owned, and once you get used to its many functions, you will see just what you have been missing out on. Make no mistake, this is a quality micro multitool. 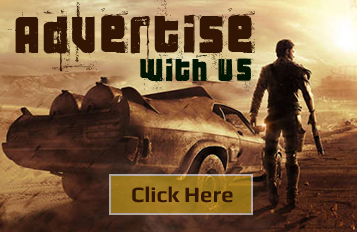 It’s from one of the leading names in the field so you get a guarantee of quality. 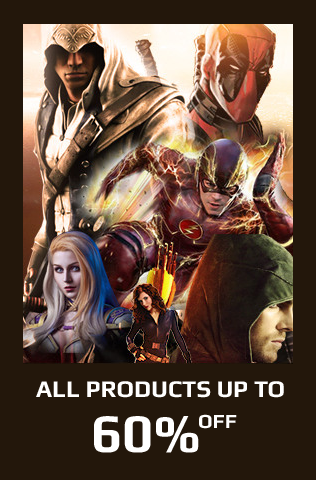 Indeed, such is Gerber’s confidence in the service it will give you, they offer a lifetime guarantee, and it doesn’t come much better than that!